You are currently browsing the Archaeofacts.com archives of Musings for the day Wednesday, January 30th, 2019. 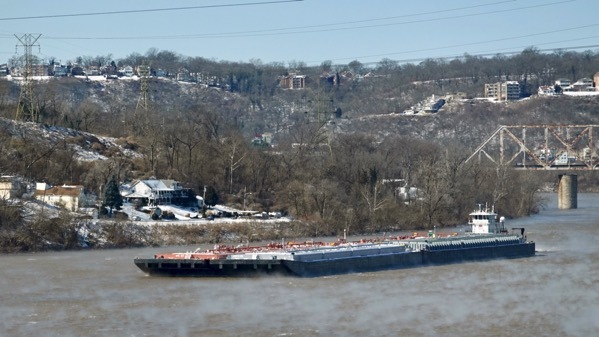 The open waters of the Ohio River—with barge!—seemingly (or perhaps actually?) steaming in the cold. Interesting. 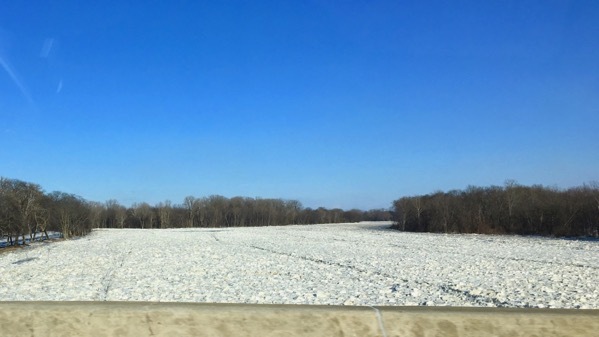 Here’s the Maumee—frozen, with heaved up platelets of ice. I don’t know why the apparently evenly spaced “lines”—another natural mystery! 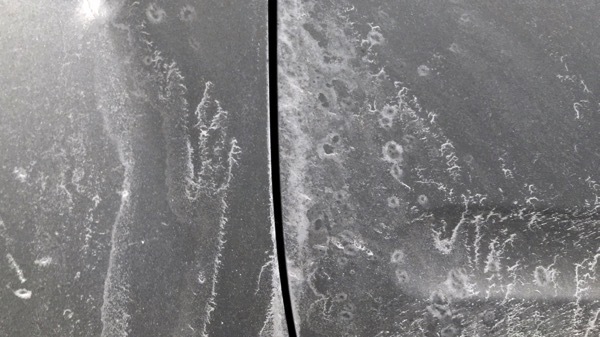 Whereas…these salt deposits are from road salt, dissolved and deposited on Our New Vehicle. The nerve! 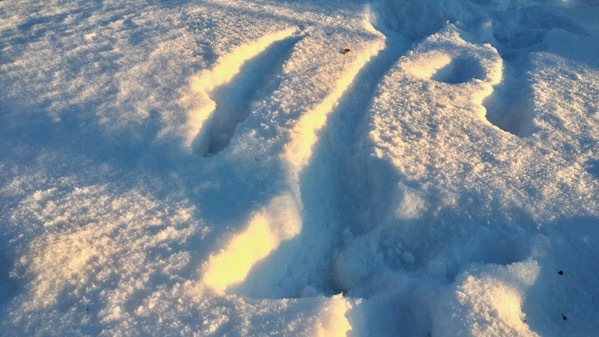 For a few minutes the slanty light just before dusk was stunning on the snow…this is Michigan! The colors are not “fake” photo-enhancement—they were there. Big drive; great evening with friends…nighty-night.